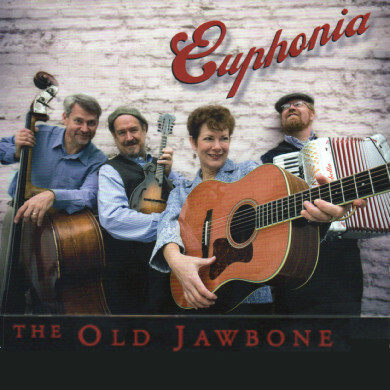 Euphonia regroups to concoct fresh renditions of these mostly American folks songs, plus a few surprises. The album was recorded live at MuscleTone Studios in Berkeley, California. Harmony vocals were recorded later, as were the homemade sound effects. Some silliness crept into our creative process, and we didn’t resist. Euphonia features Sylvia Herold (Wake the Dead, Cats & Jammers) on guitar and vocals, Paul Kotapish (Wake the Dead, Open House) on mandolin, jaw harp and vocals, Charlie Hancock (Swing Farm) on accordion, and Chuck Ervin on double bass and vocals. Brian Rice, another Wake the Dead alum, adds inventive percussion throughout, and Ed Johnson (Novo Tempo) delivers artfully crafted harmonies on much of the material.